The fact that Benjamin Franklin quotes are still used in our every day language over two and a half centuries later is a testament to the enduring legacy of this great statesman. Profile: Benjamin Franklin was born in Boston, Massachusetts on 17th Jan 1706 into a strict religious family. He did not receive a proper education due to poverty and so was apprenticed at age 12 to his brother James who was a printer and publisher of a Boston newspaper. During this time he improved his education by reading everything he could get his hands on and before long he began secretly to write for the paper under another name. This lead to tension between the brothers and he ran away at 17 to Philadelphia. He arrived virtually penniless but by 1728 earned enough to start his own business and by 1730 became the sole owner of the Pennsylvania Gazette. A really important decision he made when only 21, for me, is the creation of Junto, a club of like minded tradesmen and friends that met to discuss improvement possibilities for themselves and the community. Their book sharing gave birth to the first library in the colonies and many many more contributions followed. By 1948 Benjamin Franklin was so successful he was able to retire from the printing industry to concentrate on his scientific inquiries and writing. He had already invented the Franklin stove but his discoveries and experiments with electricity brought him even more fame and respect. 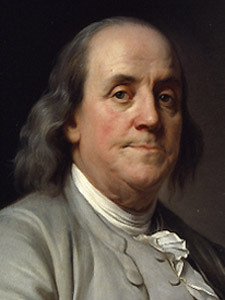 In 1751 Benjamin Franklin was elected to the Pennsylvania Assembly and was heavily involved in politics and diplomacy for the rest of his life. He lived and enjoyed much time in England throughout his life until the tensions with taxation and self-government issues boiled over. He helped draft the Declaration of Independence which was signed in 1776. Franklin was also greatly successful in his diplomacy mission to France in order to aid the American Revolution, returning home the hero in 1785. His diplomacy skills were also crucial in the creation of the U.S. Constitution in 1787. He died in 1790 aged 84 having seen George Washington become the 1st U.S. president the year before. I have to confess that I didn't know as much as I thought I knew about Franklin before doing this profile and this only lightly touches some of his great achievements. 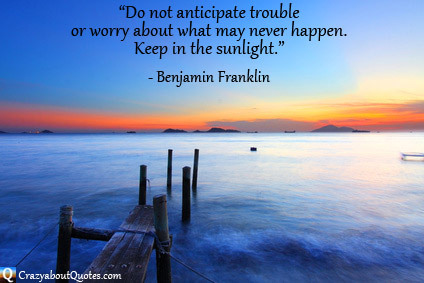 These Benjamin Franklin quotes are full of the sincerity and integrity that he showed in his life and work. Enjoy. You will know failure. Continue to reach out." familiar with few, friend to one, enemy to none." "If you would be loved, love and be loveable." such words as improvement, achievement and success have no meaning." 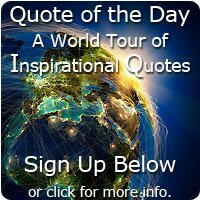 "One day is worth two tomorrows."